Speed of sound and what happens if you break the "speed limit"
What is faster, sound or light? You can easily answer this question by simply watching the lightning strike: you will always first see it, then hear, never the other way around! But how fast the sound can travel? And can anything go even faster? Let’s investigate! The speed of sound is…well…a speed at which the sound waves travel through a medium, such as air, water or solid things. As you can imagine, the value of the speed of sound depends on what kind of medium the sound is passing through: it goes faster in liquids and slower in gases. Therefore, the “speed of sound” in not a fixed number! When we talk about the speed of sound we usually mean the sound travelling through the air. The speed of sound in air at temperature 20 degrees at sea level is 767 miles per hour. That’s pretty fast! Isaac Newton was the first to measure the speed of sound in the air in 1686. He clapped his hands in the corridor of Trinity College in Cambridge and noted the time it took him to hear the Eco. After Newton measured the length of the corridor, he easily worked out how fast the sound traveled. His calculations were just about 15% off the modern value. Good job, Newton! As the speed of sound has a finite (and not so very great after all) value, in theory, an object that makes that sound can catch up with its own “noise” and even go faster. For quite a long time though many researchers thought that going sonic and supersonic, i.e. reaching the speed of sound and travelling faster than the sound, was physically impossible for an object like an airplane or car. Take an aircraft, for example. A plane makes lots of noise, right? The sound waves from an airplane propagate in all directions, ahead of the plane, behind it and sideways. As the plane goes faster, it starts to catch up with its waves. When the speed of the plane gets close to the speed of the sound waves it emits, the waves start to pile up. That leads to the increased atmospheric pressure and drag and that, in turn, makes further acceleration really difficult. A special design of the aircraft and flying technique are needed to “push through” the so-called speed barrier and get ahead of the sound waves. The first human to do just so was American test pilot Chuck Yeager. He broke the sound barrier in October 14, 1947 on Bell X-1 aircraft. These days supersonic airplanes are used for the military and research purposes only. 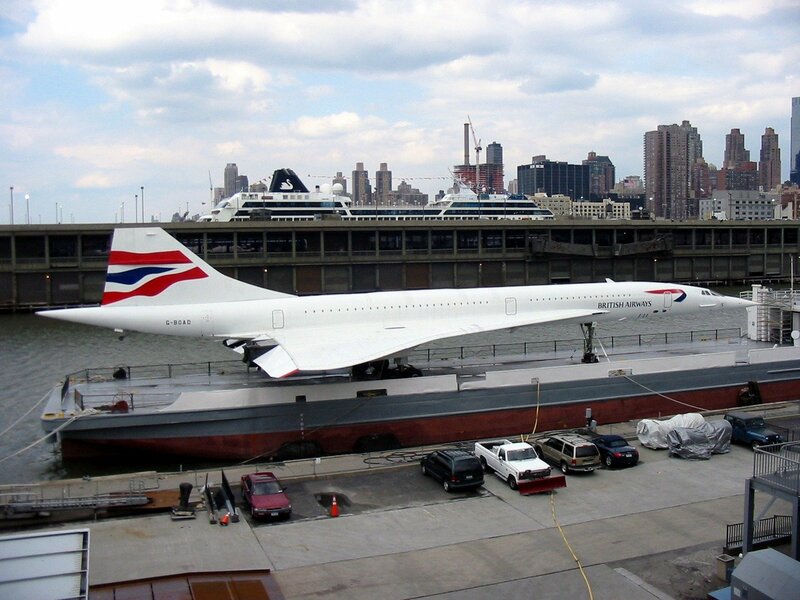 Until recently there were two commercial supersonic planes, Concorde and Tu-144, but ever since they retired, we, common people, travel only at subsonic speeds. In some countries, like US, it is against the law for the airplane to fly faster-than-sound because of the sonic boom. Right now scientists are working on the prototype of quiet supersonic aircraft and the US lawmakers are looking into bringing back supersonic passenger flights. Yes, please! Space rockets go supersonic very early into the flight: within seconds for the unmanned flights and within a minute for the manned flights. Felix Baumgartner, a skydiver from Austria, achieved faster-than-sound speed during his famous supersonic freefall in 2012. If you are thinking about trying it our yourself, keep in mind that you will need an air balloon and a pressure suit. So far ThrustSSC is the only supersonic car to break a speed barrier on land! The car is currently on a display at Coventry Transport Museum. The little visitor we quoted in the beginning of this post was wrong: even though rockets pass the speed barrier early into the flight (and again at reentry), they have to go way faster than the speed of sound, 20 times faster, to get into space. Still, no space rocket can accelerate to 300 000 kilometers per second, that’s how fast the light travels. Physicist tell us that it is simply impossible for any object with mass, be it a rocket, car or human, to move at the light speed. So the only thing a rocket will break if it ever goes superluminal (i.e. faster than light) will be the fundamental laws of physics! Want to learn more about sound, light and space travel? Visit our inflatable star dome, keep an eye on our new space blog posts or simply send your questions to our knowledgeable portable planetarium team.